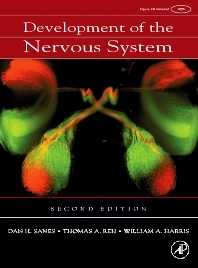 Development of the Nervous System, Second Edition has been thoroughly revised and updated since the publication of the First Edition. It presents a broad outline of neural development principles as exemplified by key experiments and observations from past and recent times. The text is organized along a development pathway from the induction of the neural primordium to the emergence of behavior. It covers all the major topics including the patterning and growth of the nervous system, neuronal determination, axonal navigation and targeting, synapse formation and plasticity, and neuronal survival and death. This new text reflects the complete modernization of the field achieved through the use of model organisms and the intensive application of molecular and genetic approaches. The original, artist-rendered drawings from the First Edition have all been redone and colorized to so that the entire text is in full color. This new edition is an excellent textbook for undergraduate and graduate level students in courses such as Neuroscience, Medicine, Psychology, Biochemistry, Pharmacology, and Developmental Biology.